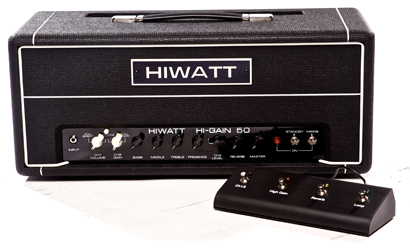 First of all, we worked around the clean channel of the Custom dr103 100w head – as far as starts go, they don’t come better – then incorporated a Hi-Gain channel. This is the bringing together of the traditional and the cutting-edge. Then we added the Accutronics reverb. Then an FX Loop. Then push/pull normal/bright channels. We must confess, all this was not entirely our own idea; we did a great deal of research and customer feedback. 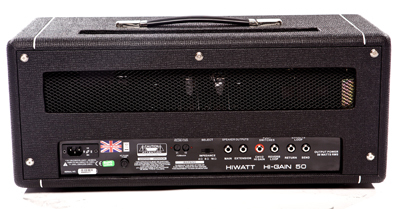 3 band EQ, presence, channel 2 level, reverb, channel 1 volume and channel 2 gain complete the front facia. 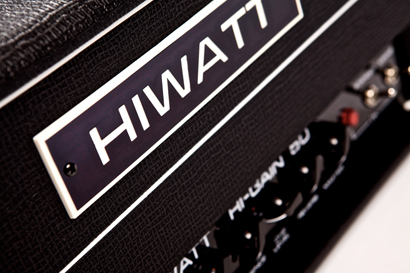 All the corresponding sockets for send/return, reverb, speakers, and the footswitch are to be found at the back of the amp.